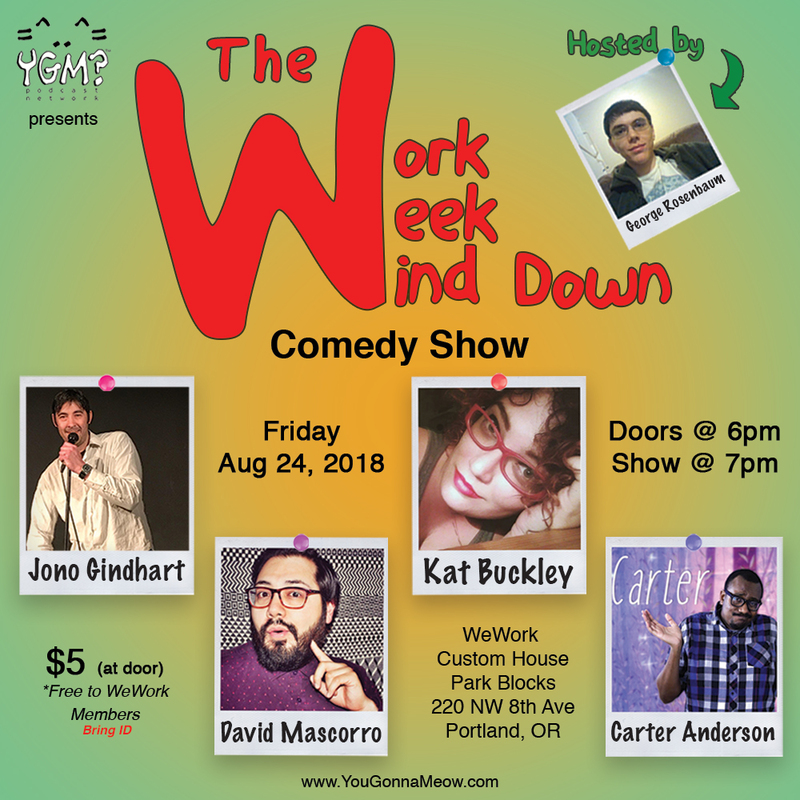 The Work Week Wind Down is a comedy show hosted by You Gonna Meow? Podcast Network at the WeWork Custom House in downtown Portland, near the park blocks. Come directly after work and join us for a drink, see some comedy and wind down a little before heading home. Bonus, you’ll miss all the traffic heading home AND no parking charges in downtown after 7 pm! Please come out and support the local comedians!